Being a well-known organization, we are involved in dealing an exquisite range of Appam Pan to fulfill the needs of our customers. 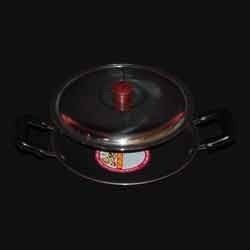 The product is manufactured using high grade raw material and supports big plastic coated handles, so it is convenient to handle during cooking food. Appam Pan is an easy to use product with maintenance.